Kirk Bell March 7, 2017 Comment Now! The V naming strategy at Aston Martin dates back almost 70 years to 1951, when the British brand gave a DB2 about 20 more horsepower and applied the Vantage name to the new “high performance” 125-hp car. 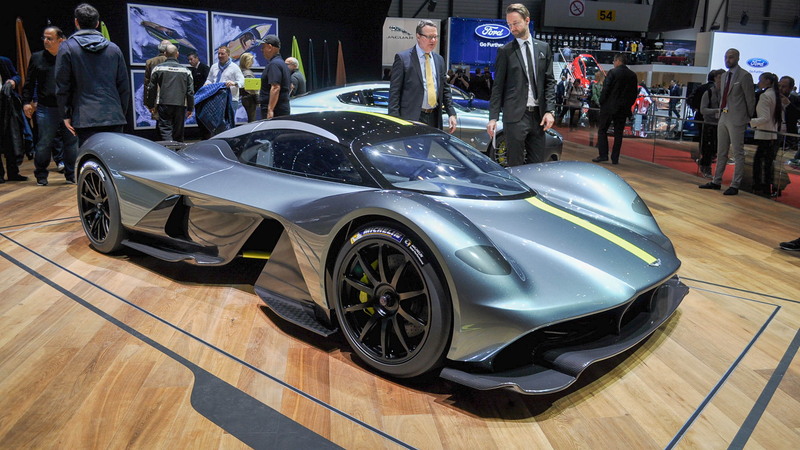 Now, Aston Martin is applying Norse-power to the hypercar it is co-developing with the Red Bull Racing Formula One team. 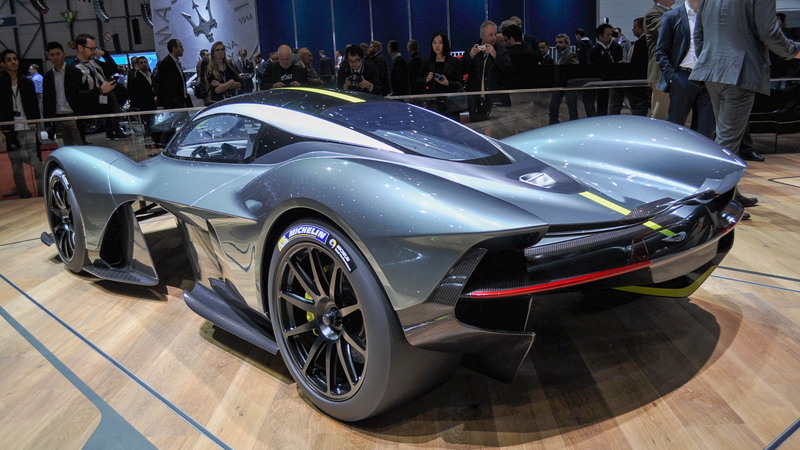 Announced on the eve of the 2017 Geneva auto show where the hypercar is on display, the new name for the car that we've only known thus far as AM-RB 001 is Valkyrie. In Norse mythology, Valkyrie literally translates as “chooser of the slain.” These female figures select who may live and who may die in battle. The Valkyrie then bring half of those slain on the battlefield to Valhalla, where they are governed in the afterlife by Odin, ruler of the gods. 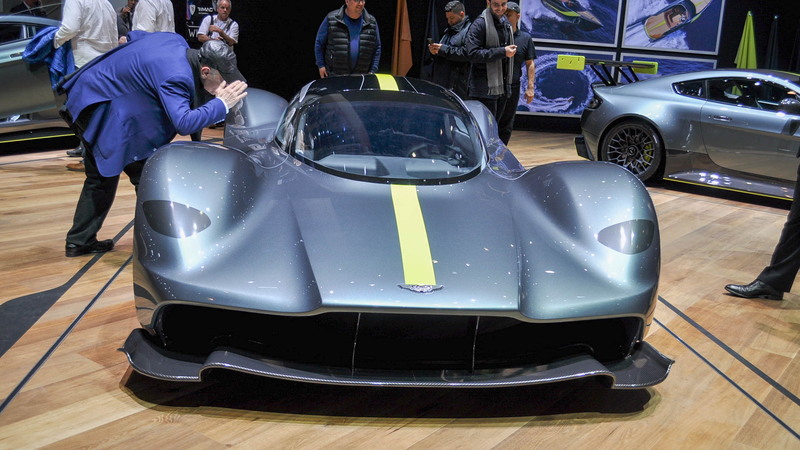 So, if you want to look at the Valkyrie's flowing, sensual forms and see a female figure, Aston Martin is giving you reason to with the Valkyrie name. We think it's just an awesome car. 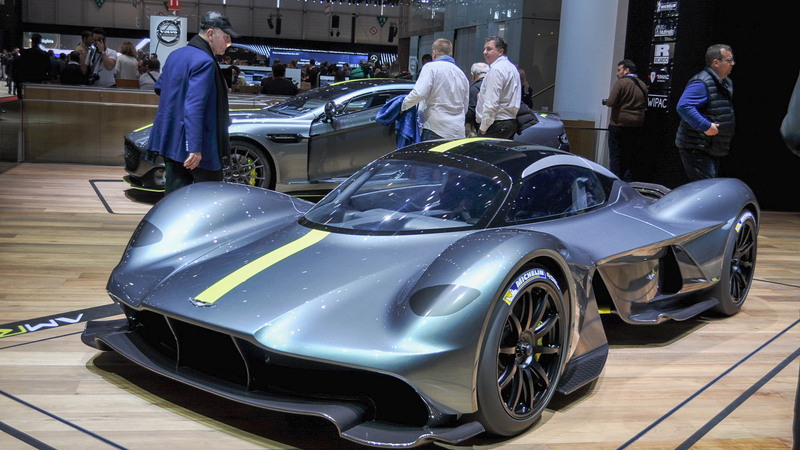 To go with its otherworldly name, Aston Martin is promising otherworldly performance. And from what we've learned, that should be a cinch. The Valkyrie will have a hybrid powertrain featuring a 6.5-liter V-12 developed by Cosworth with electric boost courtesy of Rimac. Total output should be about 1,000 horsepower. That figure should match the car's weight in kilograms (2,200 pounds) as weight savings will be the order of the day. Multimatic, the builder of the Ford GT, will create the carbon fiber monocoque, and the car won't feature a single piece of steel. 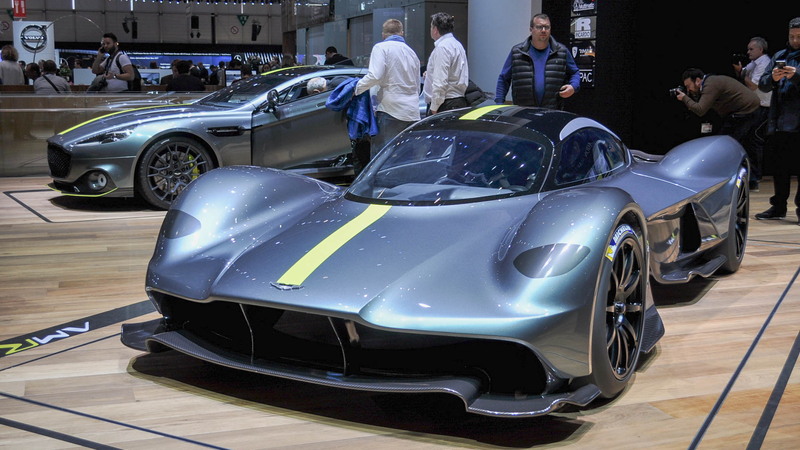 Aston Martin has also confirmed that the Valkyrie will run on Michelin Pilot Sport Cup 2 tires measuring 265/35 ZR20 at the front and 325/30 ZR21 at the rear. The wheels, measuring 20x9.5 inches at the front and 21x11.5 in at the rear, will be a lightweight magnesium alloy set with center-lock nuts to further reduce unsprung mass. A total of 175 cars will be built, 25 of which will be for track purposes only. A reveal of the completed car will take place next year with deliveries to follow in early 2019.